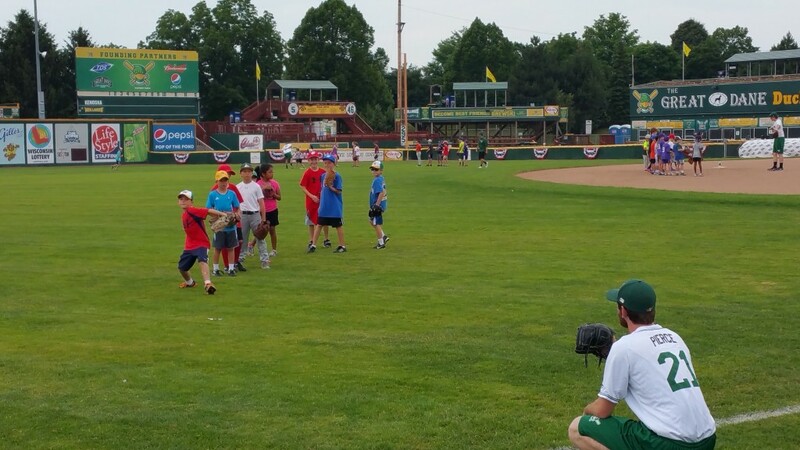 TDS TV invited 50 little league players from the Madison, Wisconsin, area to the Madison Mallards’ Duck Pond Field for a Saturday full of free fun and baseball and softball skills training. 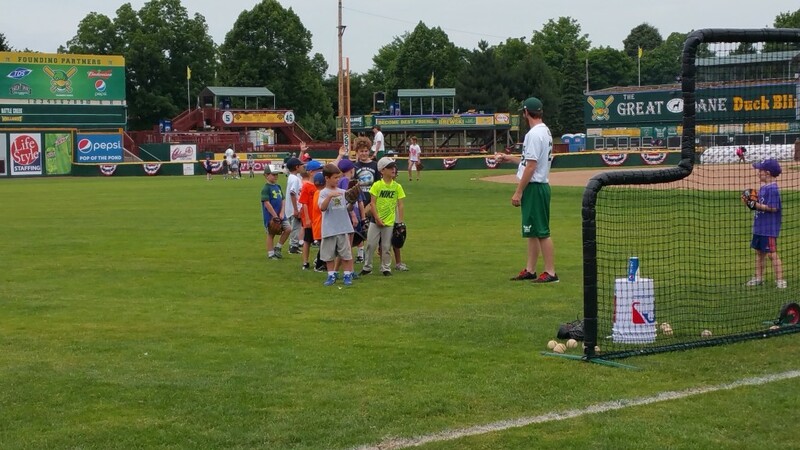 Kids 5-10 years old, worked on their pitching, hitting, infielding, and outfielding skills with Mallards’ players and coaches. Olivia, a young softball player, said that her favorite part of the day was the pitching practice with Mallards’ pitcher Josh Pierce. He had the kids practice their pitching skills by aiming to knock a cup off a bucket, simulating the perfect strike zone. Other Madison Mallards’ players also help out throughout the event, including catcher Bryce Carter, and outfielder Anthony Gonsolin. Gonsolin worked with the kids using Wiffle balls in the outfield and allowed the kids to play a Wiffle ball game. 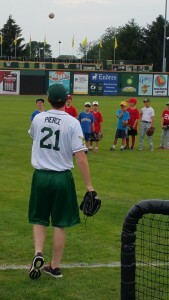 Carter was on hand both for the hitting clinic and when the kids wrapped up the day by running the bases at the Mallards’ diamond. Throughout the day many parents joined in the fun by cheering the kids, so everyone had worked up an appetite for their traditional ballpark meal. Even better, two families walked away with extra goodies-one went home with a 40” TV courtesy of TDS TV, and another won a four-pack of Mallards tickets for a future game. TDS TV wants to thank all the little leaguers, Mallards players, and coaches for coming out to make the clinic a huge success! Morgan is the intern for the Consumer Marketing team at TDS and does a lot more than stuff parade bags and make copies. She creates much of the content on our Facebook pages and helps plan TDS TV events, among other things. Morgan is a sophomore at the University of Wisconsin-Madison, majoring in Marketing.